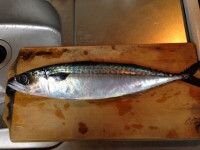 Mackerel is called as “Saba” in Japanese, and it’s one of popular fish here. 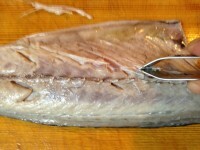 Popular cooking method for Saba is to grill or simmer. 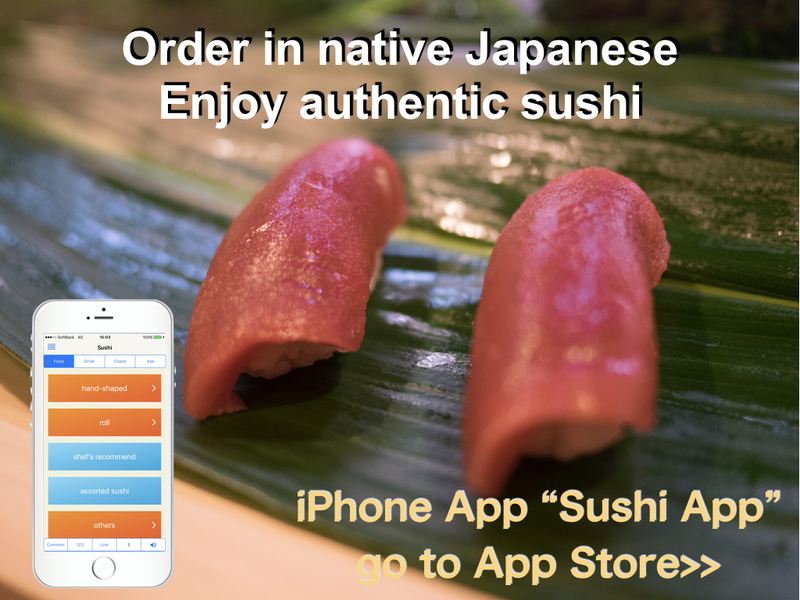 Normally we don’t eat it as Sashimi (raw fish) because it is perishable. 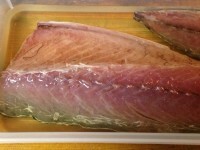 “Shime Saba” is marinated with salt and rice vinegar. 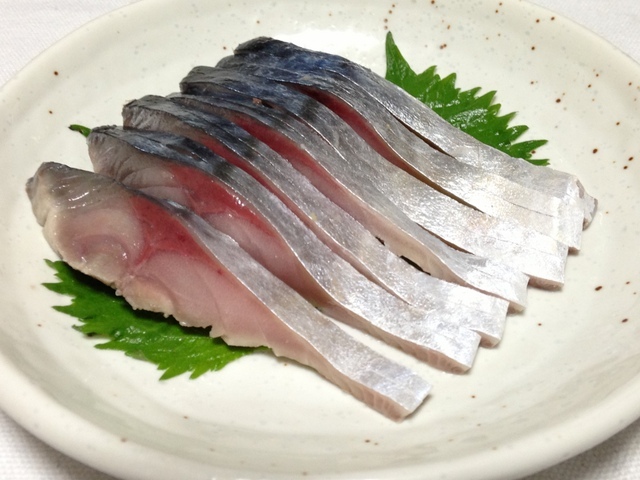 With this cooking method, Saba (Mackerel) can be kept a little longer and also we can enjoy Sashimi like taste. This is called as “Sanmai Oroshi” in Japanese. 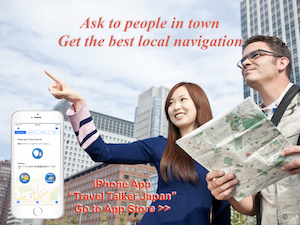 Following video will be useful how to do. 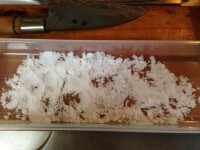 2) Place sugar to cover the bottom of the tray. 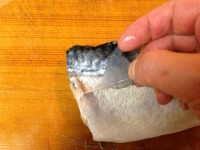 Wipe the moisture of mackerel with cooking paper and place it on the sugar. Then add sugar to cover the meat. Leave it for about 40 min. 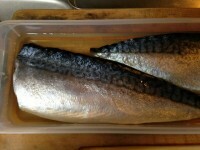 4) Wash the mackerel with water and wipe the moisture. 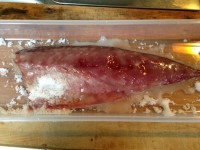 Then place it in rice vinegar for about 1.5 to 2 hours. (at least 30mini.) On the half way, flip over. 5) Remove all bones. And then peel the skin. 6) Cut it about 5mm width, then place in dish. 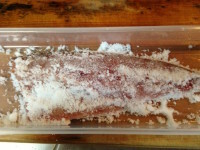 However I’m not sure from when this cooking method is used, marinating fish with rice vinegar is popular method. 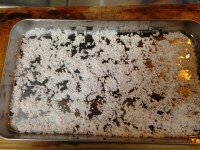 And there are some similar method such as Kobushime which is marinated with rice vinegar and kelp (kombu). Kobumaki is also very good. 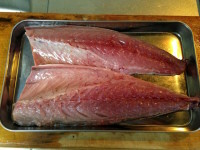 Shime Saba can be bought at fish stores or supermarkets in Japan. But I think they are too much marinated. The good thing to make it at home is that you can arrange the taste as you like. Of course, making at home is fan. 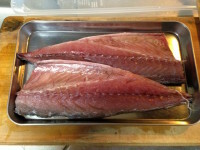 Even this is marinated and can be kept longer than Sashimi, it cannot be kept so long. I think it can be kept 1 or 2 days in fridge. So I recommend to eat it in the day when you made. At step 5), peel the skin slowly. 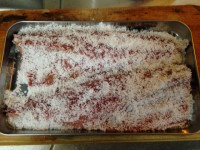 Depends on the time how long marinated with salt or rice vinegar, the taste will be changed. It’s up to you. To marinate longer, it will be added more taste and kept longer. On the other hand, marinate shorter, you can enjoy more Sashimi feeling.